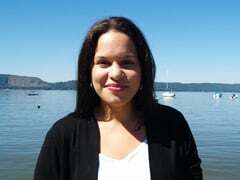 Monica Gutierrez joined Riverkeeper in July 2014. Monica has over 10 years of office management experience. She works closely with the manager of operations and finance on the day-to-day responsibilities, accounts payable, accounts receivable, payroll, computer troubleshooting, maintenance of office records, budgets and more. As a mother she understands how important it is to conserve, preserve, and care for the earth’s resources and protect the environment that sustains us with food, water, energy and shelter for our present and future generations.